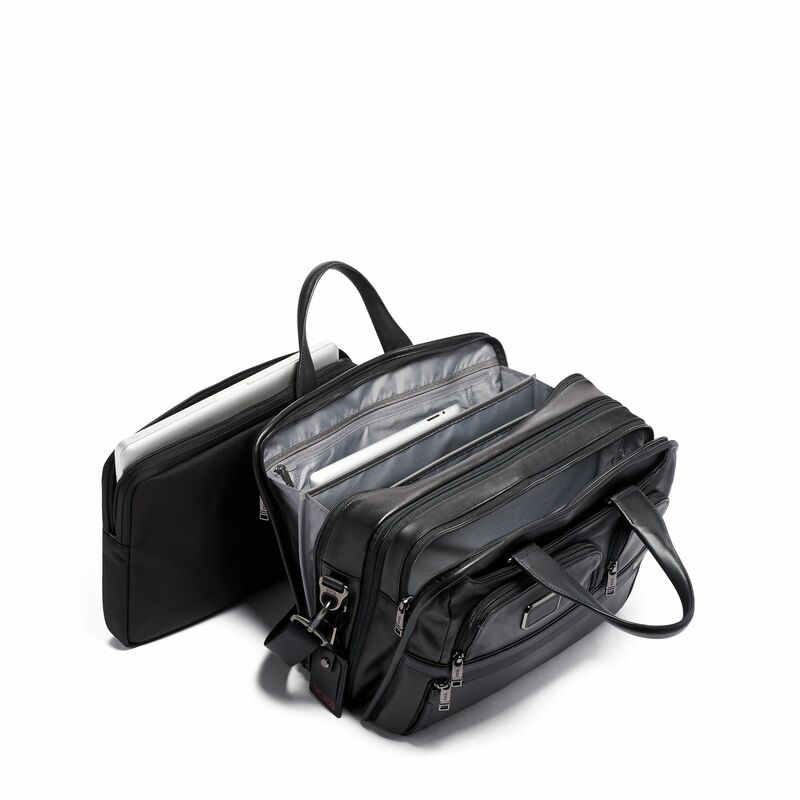 With a removable sleeve for laptops up to 15", an expandable main compartment, and an accordion file section, this brief provides exceptional versatility and organization. 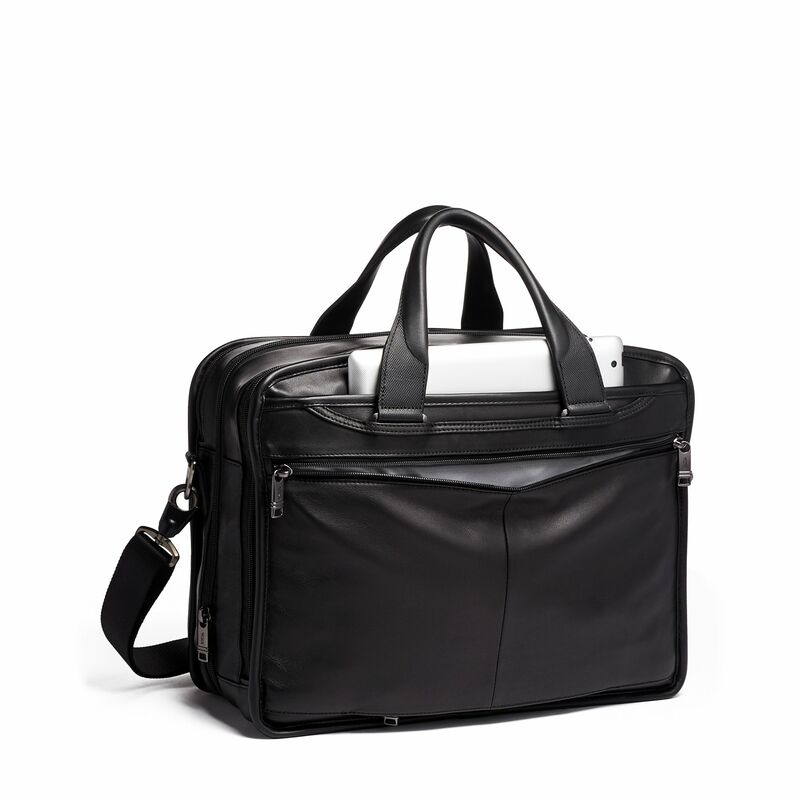 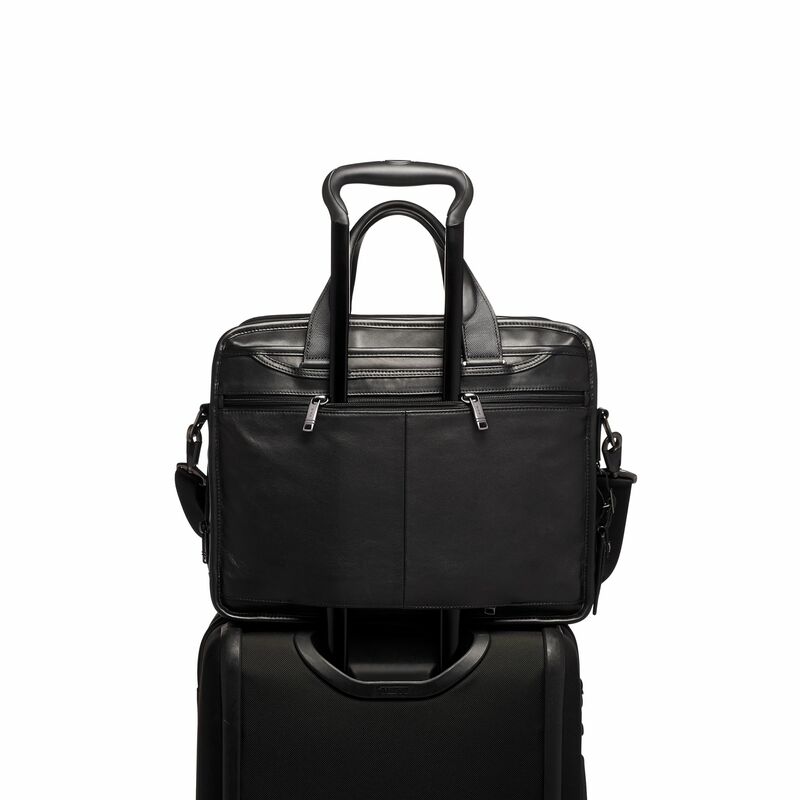 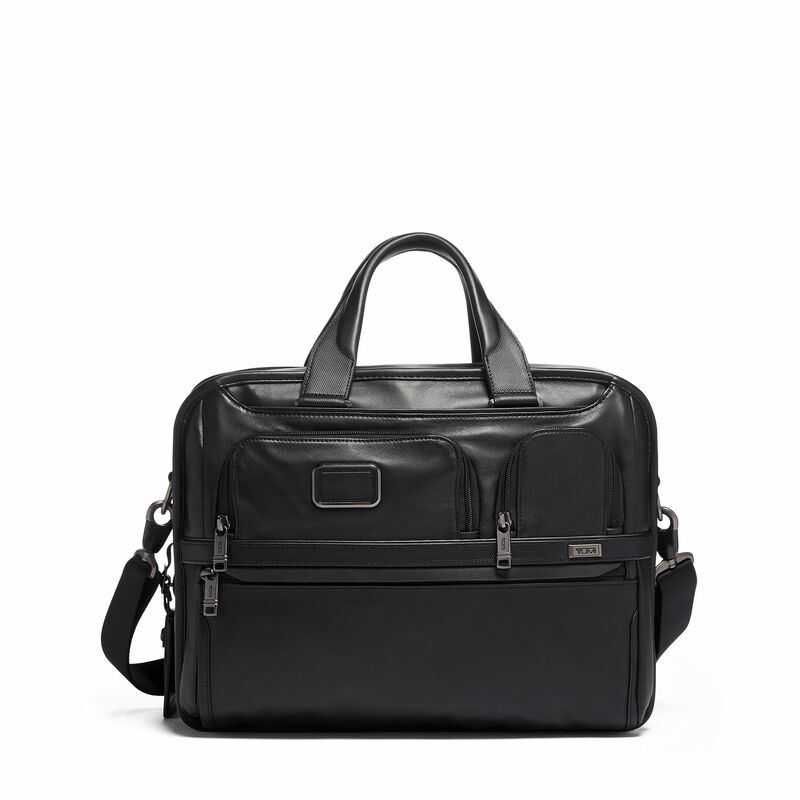 Features include a padded tablet pocket and multiple pockets for accessories. 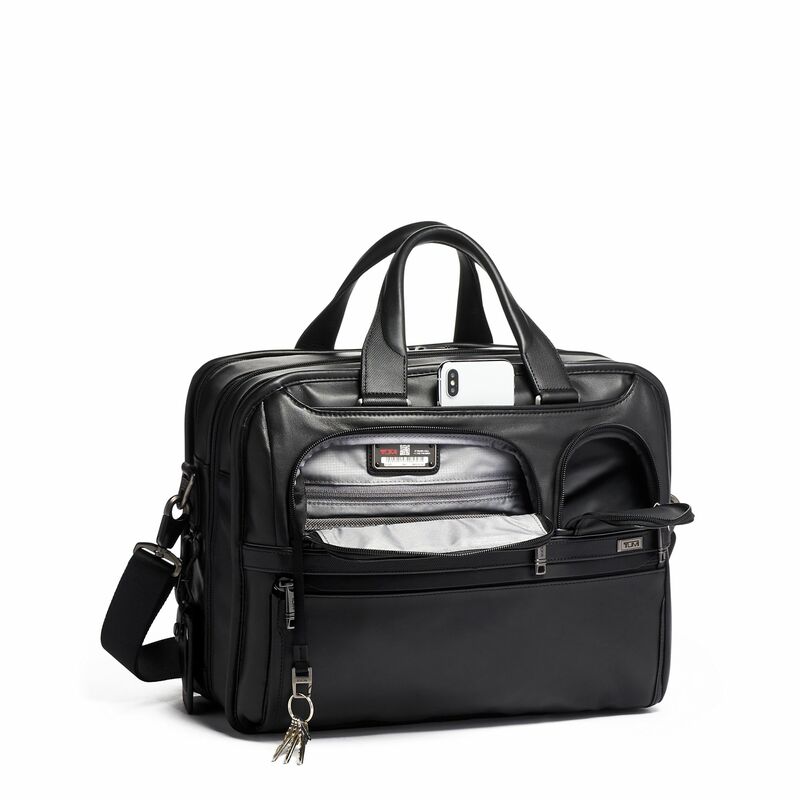 The exterior has two U-zip pockets including one with a water-resistant lining for an umbrella or water bottle.